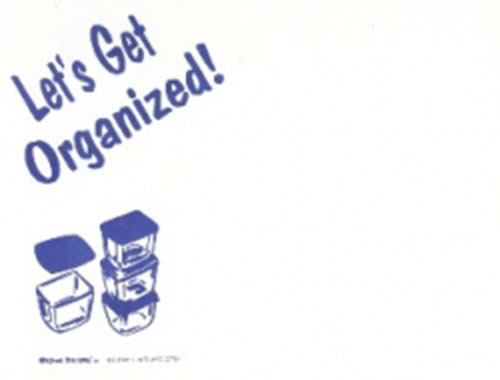 101 Tips To Stay Organized Ebook!!! How we spend out time says a lot about who we are If you are simply too tired or do not have adequate time to do anything in the evenings, then your daily routine is out of balance and you need to make adjustments. Your work can be too difficult or unsuitable, or you may not be making full use of your hours during your day or evening. A good balance of your time is needed for work, goals, recreation, and relaxation. Take a close look at your daily routine, examine your findings and come up with a plan. Be prepared to follow your plan and with this, you can become better organized.